The often told myth of creation in Ethiopia is that God, when He went to create man, placed a lump of clay (or dough) into His oven. God’s first effort was a failure, He had taken out the mixture too early and it was white, and from it white-skinned peoples were created. God, not happy with that creation, would try again but on this occasion He kept the mixture in the oven for too long. Contrary to His previous effort, it was black and from that God made black peoples. God, unhappy still, would place a third mixture in His oven. On this occasion, it would appear that the oft-repeated cliché ‘third time’s a charm’ rings true even for the God of Abraham. It would seem that having learnt from His previous failures that God knew when to take the clay-dough out of the oven and from this well-baked specimen were born the Ethiopians. Hermeneutical approaches have typically (and rightly) recognized that this creation story should be read as a metaphorical explanation rather than a literal explanation (the literal explanation accepted by the Northern Highlanders of Ethiopia was and is the Orthodox Church’s Genesis Story). However, in this creation story there is an obvious rhetoric vision; the Ethiopian as the racial ideal with two symmetrical lines of departure, on one side stood black people and on the other stood white people – both below. Slavery had been a custom in Ethiopia since antiquity as it had been for all of the trading empires of antiquity. However, the institution evolved from being a product of trade with other empires of antiquity (Rome, Greece, Egypt, Persia) to a consequence of warfare between the Muslims of north Sudan and the Christians of northern Ethiopia. Slavery, or rather slaves, was tied to warfare as opposed to racial constructs. Nonetheless, the Middle Ages and Early Modern would see Ethiopia enveloped in the extensive Arab slave trade and it is here one can trace the racialization of slavery. From the Middle Ages, Ethiopian “people made careful distinction between themselves and Negroid people,” this was a consequence of Ethiopian merchants having been at the forefront of fulfilling the insatiable demands of the Indian Ocean slave trade. Ethiopians by being Christians were (technically) not to enslave one another. The result of Ethiopia’s participation in this international slave trade was the creation of what was to become a firmly entrenched pseudo-scientific racial hierarchy which placed the black peoples hunted for sale (denigratingly referred to as barya), who lived on the periphery of imperial Ethiopia’s then expanding boundaries, at the bottom and justified that brutal exploitation. Their intellect, religious customs, civilizations, and, most importantly, appearance would all come to be a racialized phenotype that could not be ‘cleansed’ by being included in the Ethiopian empire nor through inter-marriage. So potent were these phenotypical delineations that a linguistic culture of slave/non-slave dialectic emerged to describe barya physicality (very dark skin, nappy hair, flat nose, thick lips) and behavior (oversexed, jovial, child-like, stupid). Furthermore, a complex (and ridiculous) racial classification came to be to categorize the children of mixed-heritage (slave and that of their Ethiopian slaveowner). There were names to describe those of 1/16th black heritage. It is tempting for Western scholars to relate these racial constructs to Western ones. P. T. Tucker described Ethiopia’s racial distinctions between their brown, yellow and red selves from the darker peoples they enslaved as “peculiar kind of prejudiced” because it existed “in both America and Ethiopia”. Tucker makes a truly false comparison, ignoring that Ethiopia’s peculiar prejudices extended to the ‘poorly baked’ white races. The disastrous Jesuit efforts in the 16th century and the interactions of Ethiopian slave merchants with Muslim Arab traders as early as late antiquity had crafted an image of white peoples as ungodly, untrustworthy, mischievous and oversexed. Blackness was equated with a filial piety comparable to beasts of burden but whiteness with jackals, and that was so much worse. Furthermore, in Tucker’s determination to relate Ethiopia’s prejudicial racial structures he ignores the nuances that existed between the dominant ethnic groups of Ethiopia’s Empire (Tigrayans, Amharas, Oromos) and the minority castes that inhabited the middle ground between the black slaves, and the Northern Highlanders. That system of enslavement was inextricably tied with a racial hierarchy and pseudo-racial myths for many centuries. It is, sadly, still a well-remembered institution among Ethiopia’s war generation, baby boomers and Generation X. Therefore, it still reverberates throughout society. Ethiopia is only now beginning to industrialise, its middle income minority is slowly burgeoning and consuming foreign media content. It is here, at this cross-roads that it will be interesting to see how beauty standards informed by Ethiopia’s centuries old racial hierarchy will evolve. “White means pure. Not necessarily skin but in general, that’s how I look at it, it means pure.” This is a statement made by Nigerian and Cameroonian singer Dencia, who created a controversial skin-bleaching cream called ‘Whitenicious’. In a Television interview with the United Kingdom’s Channel 4 News in March 2014, the singer responded to the criticism that her skin lightening product had received. Dencia claimed that her product was not a skin lightener but a dark spot remover however; many of the Whitenicious’ campaign ads presented Dencia’s skin tone as being lighter than her original color and this created a contradiction with her claims. Kenyan-Mexican actress Lupita Nyong’o, who has on numerous occasions discussed the issue of standards of beauty and why girls should not find the need to use skin lighteners, also addressed the issue of products like Whitenicious in her acceptance speech at the ESSENCE awards. In the speech, Lupita Nyong’o talks about how she has been able to inspire and empower dark skinned girls around the world by showing them that black is indeed beautiful. She talks about one particular girl who wrote to her to thank her for inspiring her to love her natural skin tone otherwise she would have resorted to using Whitenicious since society and western standards of beauty make it seem as though anything less than light is not beautiful. I think that the biggest problem in Africa today is the illusion that lighter is better. This illusion is rooted in colonialism, western-dominated capitalist culture and western standards of beauty. Many African people believe that they need to have a lighter skin tone in order to improve themselves and their status in society. That is, most African people desire lighter skin because they believe that this will change people’s outlook on them and they will be able to attain their desired jobs, get spouses or elevate to another class in the society. These beliefs stem from the fact that whiteness is viewed as being symbolic capital whereby being white or having a light skin tone is equated to competence, respectability and honorability. African people have unconsciously been taught by the west to dislike their dark skin and instead strive to achieve a lighter skin tone because they believe that it is much more accepted and desired. A number of people who use skin lightening products argue that desiring a lighter skin has nothing to do with self-hate or wanting to be white but is as a result of insecurities and low self-esteem. 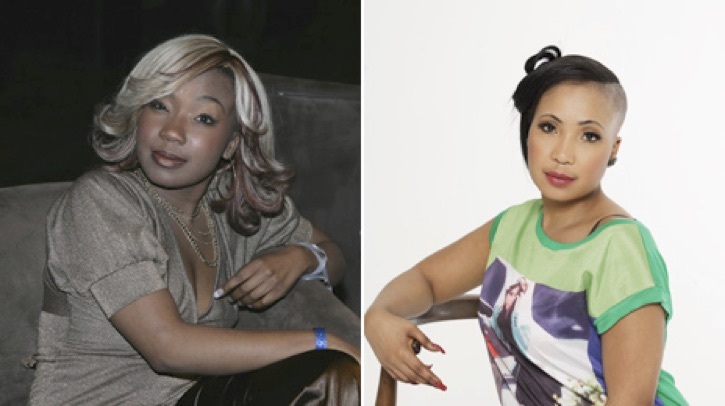 An example is that of South African musician Nomasonto ‘Mshoza’ Mnisi who changed her skin complexion and is now lighter than she was originally. To her, skin-bleaching is a personal choice and is no different from breast implants or a having nose job. Mnisi says that the main reason she bleached her skin was to see what it would be like to be white as she had been dark for a long time. (Pumza Fihlani, 2013) Although Mnisi says that she is not self-hating and does not aim to be white, her attitude towards her natural skin tone says otherwise. It also leads me to question why she would feel less confident or have a low self-esteem if she was indeed proud to be black as she so often claims. In conclusion, I believe that Whiteness or in this case, lightness as a symbolic capital has created a generation of African people who lack self-worth and confidence in their natural skin tone and this has resulted into the use of skin lightening products which in the long run damage their skins and might ultimately lead to severe diseases like cancer. I think that this trend will not end unless the people who use these products change their views on what they perceive as the standard of beauty and develop a sense of self-worth as dark-skinned African people. When discussing international migration, many groups of immigrants came to mind; coming from Europe, I am myself familiar with a large immigration population being entirely or only partially part of the society I found myself in. Additionally, as I live in Japan, I am lucky enough to experience immigration from another angle, from the other end. In turn, the latter has helped me to understand to a greater extent issues and complains voiced by first, second, and even third generation immigrants back in my country. Yet, one particular group has peaked my curiosity from the onset; the case of Chinese migrants in Africa, and particularly in South Africa (as I have come to realise that the overwhelming majority of Chinese is found in South Africa (Park, 2009)). The reason why the case of Chinese migrants in Africa caught my attention stems from my inability to have considered the latter phenomenon. As mentioned earlier, as a European, I viewed migration from a Western perception (i.e. Migration in Europe, United States, Australia, New-Zealand…). When I first heard about Asian migration to Africa, I was surprised. However, later, I found myself comparable to the narrow minded people I have encounter in my life having difficulties accepting or even considering international migration. My astonishment turned into frustration and I now believe it is a moral duty to increase my knowledge concerning the aforementioned focus. South Africa has had 2 waves of Chinese immigration in the past and one currently happening. In the early 1900, Chinese families migrated to South Africa, approximately 10,000 individuals, followed by business motivated Taiwanese in the 1970s and 1980s (approximately 6,000). The current wave which has started since 1990s is sourcing from mainland China (over 500,000; Park, 2009). Four categories can be depicted when examining Chinese immigrants to Africa: temporary labor migration linked to Chinese development and investment in Africa, small-time entrepreneurs, in-transit migrants, and agricultural workers (Politzer, 2008). The second group, small-time entrepreneurs, is currently gaining in popularity as an increasing number of mainland Chinese are migrating to South Africa in order to pursue self-employment dreams, experience a slower pace and comfortable life, an improved weather, and a healthier environment. Though mostly found in urbanized area, Chinese migrants are increasingly settling in poorer rural areas where the economic sphere is minor or inexistent in order to maximize their benefits by taking advantage of further favourable economic situations. They tend to open shops where everything from clothing to travel accessories, from everyday household appliances to toys and games for children can be found (Park, 2009). The Chinese migration to Africa and particularly to South Africa can be depicted likewise Edwin Lin’s analogy referring it to a “small pond migration” (2014). The analogy stems from the English idiom “Big fish in a small pond.” Though the idiom connotes a rather pejorative meaning, the small pond migration refers to migrants purposely choosing a lesser developed country where their human capital will foster their ability to take advantage of the social environment. The migrants’ ability to conduct unchallenged business through their comparative advantage confers them the title of Big fish in a small pound. Reasons for Chinese to migrate to South Africa have been depicted as such: for adventure, for self-employment, and for a comfortable lifestyle. Perhaps the effect of globalisation, access to international media and contact with international parties have promoted a desire for adventure and experiencing a life outside China. Most Chinese migrants that have moved to South Africa describe lifestyle in China as chaotic and stressful. Hence, moving to South Africa not only allowed them access to a slower pace of life associated to their environment, but also to start a self-employment type of business that, in time, will grant them enough capital and resources to “sit back and relax”. When discussing assimilation theory, the case of Chinese migrants in South Africa seems to oppose the general trend usually associated with migration. First, most Chinese migrants seem to move to South Africa with the clear intention to return to the mainland once their economic goals are met. Second, as their migration is firstly seen as temporary, most Chinese immigrants do not speak the local language and very few of them have English proficiency (most of them come from a lower social strata with limited education background). Time and motivation to learn a language that would ease their living in South Africa is hampered by their aforementioned assumption. Third, the crime rate and the Chinese target some gang seems to favour, has pushed Chinese migrants to adopt a life style with very little interaction with the local population and heavy withdrawal into their own community. Most of them do not go out after sunset, fearful of aggression and robbery. Chinese migrants do not see social structure as a medium or an alleviation of this issue as police seem to be corrupted and do not protect them as they should. Assimilation seem thus to be unlikely as very little social structure are in place to promote a safe environment. The premise most migrants hold in regards of returning to their home country after meeting their objectives is also an important drawback to their assimilation. Though Chinese South Africans have been living in the country for few generation (this will be extended in the second post), most recent Chinese migrants opt for sending their offspring back to china where family member would take care of them. Transnationalism can be viewed and explained through a progressive migration of Chinese individuals following example of their relatives, friends or even clan and village members. Remittance, charity, and Foreign Direct Investments (FDI) are also part of the transnationalism phenomenon that reaches Chinese migrants in South Africa. Racialization is common and affects immigrants in their assimilation endeavour. The label “Jews of the East” hamper Chinese to further commit to an assimilation progress as in most cases, they are treated as outsiders and often scapegoated as the reasons behind a society’s ills. Lin, E. (2014). “Big Fish in a Small Pond”: Chinese Migrant Shopkeepers in South Africa. International Migration Review, 48(1), 181-215. Park, Y. J. (2009). Chinese Migration in Africa. Occasional Paper No. 24, Johannesburg: South African Institute of International Affairs. The trend of skin lightening, especially among women, is getting increasingly common all over the world, including South Africa, where the major part of its population is black. According to a study from the University of Cape Town, as many as one in three African women use bleaching products to lighten their skin. Skin lightening products often create serious medical complications; many patients suffer from diseases caused by a combination of use of lightening products and sunlight (africa.com). The World Health Organization (WHO) has also mentioned the negative effects of some skin lightening products. Mercury, one of the common ingredients in lightening creams, is said to have harmful effects and could also lead to kidney damage, as well as other side effects such as “skin rashes, skin discoloration and scarring, as well as a reduction in the skin’s resistance to bacterial and fungal infections” (africa.com). Why is skin lightening becoming so common in South Africa despite its negative health effects? Professor Lynn Thomas, co-author of the book Shades of Difference: Why Skin Color Matters, mentions the history of South Africa being colonized by Europeans. The Europeans and South Africans were not treated equally, and there was the notion that light skin was somehow better, not much unlike Hitler’s idea that Jews were inferior. 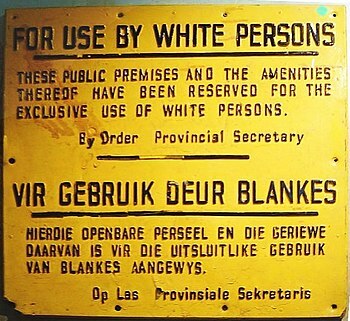 More recently, apartheid, the government policy of racial segregation against black Africans in South Africa, was renounced officially only in 1992. The effects of the history of discrimination can still be seen in the current South African society. For example, Nomoto “Mahoza” Mnisi, a famous South African musician, is known for her extensive use of skin lightening products. She says, “I just want to be light skinned… I was tired of being ugly.” She is assuming that dark skin is “ugly” and light skin is not. As there is a difference between Mahoza’s view and that of her fans, it is questionable to say that the history of the colonization and discrimination is the sole cause of the contemporary trend of South Africans’ skin lightening, but it is probably one of the factors that have contributed to the trend. Thomas, Lynn M. 2009. “Skin Lighteners in South Africa: Transnational Entanglements and Technologies of the Self.” Pp. 188-210 in Shades of Difference: Why Skin Color Matters, edited by E. N. Glenn. Stanford, CA: Stanford University Press. Reading “Skin Lighteners in South Africa: Transnational Entanglements and Technologies of the Self (2009)” by Lynn M. Thomas, I was reminded of and reflected on my experiences in Africa. It was inconsiderable that South African care so much about their skin color even though skin lighteners sometimes bring problems to their skin. However it is true that the people I met in Kenya put value on light skin and they connect it with high social status very much. The other internship students from Europe, the United States, and Asia and I were called Mzungu by Kenyans. I saw Malaysians, Indonesians, Singaporeans, Americans, Brazilians, Swedes and Germans all called Mzungu. Mzungu is the Swahili word that describes rich and White people from African people’s perspectives. More specifically, not only Caucasians but also people from developed countries with light skin of color are Mzungu. It seems that many Swahili-speaking countries use the term Mzungu, as some websites and blogs show on the internet (Hoff n.d.; Duara 2008). Both Hoff and Duara write that Mzungu is used in central and Southern Africa. When I visited Rwanda this summer Rwandan also called us Wazungu, the plural way to call Mzungu. Interesting are those African people who are eager to have networks or connections with Mzungu people. For instance, while I and the other internship students were in a community in Kenya and belonged to a Community Based Organization, some Kenyans suddenly joined the organization and many HIV-positive people started to attend our meetings as well. However according to local members in Kenya, they began to be absent from meetings after all of the Wazungu left. However, some of them have tried to maintain their connections with Wazungu. Most importantly, they strongly connect idea of economic and social status mobility with being Mzungu. If they could have been married with a Mzungu woman or man, they would not have to be in trouble of impoverished in Africa anymore. They would be able to get out of their homeland and have a better life. Considering the case of South Africa, the tendency that they would like to have lighter skin color must be much higher than the other countries since they were harshly segregated by skin color during the period of apartheid. Even though they might have skin troubles from using skin lighteners, upward mobility would be more important for them since it would determine their entire life and success. Therefore, they care more about their skin tone rather than their health. However the status in South Africa must be changed since the abolition of apartheid. Nowadays there are poor Whites going begging in South Africa, and it also might be a factor that changes preference of white or light skin. I suppose the tension between Mzungu and Black Africans, which connects social upward mobility with light skin color, would not change because Black Africans regard Mzungu as coming from totally different background and statuses. However, it might create new black movement as their economic status changes with economic growth. Thomas, M. L. (2009). Skin lighteners in South Africa: transnational entanglement and technologies of the self. In Glenn, N. E. (Ed. ), Shades of difference: why skin color matters. Stanford, California: Stanford University Press. In today’s society, anti-racist movements have been gaining support, to the extent that in most Western countries racism is punishable by law. Discriminating by race is starting to be acknowledged as a social taboo and discriminative actions such as declining applicants a job opportunity due to race will not only bring negative image but can even lead to jail time. With such improvements in racial equality, one might expect that we are going towards a world without discrimination. Even though this would be truly wonderful if it were to be true, there still is room for improvement—as even in the most non-racist countries racism is still happening beneath the surface—not to mention the social phenomena (or, in other words, social problems) that are replacing racism. One of the most widespread occurrences is racism changing to “colorism”. Colorism, is a term originally coined by Alice Walker in her 1983 book “In search of our mothers’ gardens” as she used the term to describe discrimination by color excluding factors such as bloodlines or ancestry. Even though racism also includes skin color, in colorism skin color is the sole factor behind discrimination. Especially present in Latin America, Africa, East and Southeast Asia and India however recent trend among various scholars are studies about how colorism has started to replace racism in most parts of the globe. One could argue that change to colorism has brought several positive effects. Before it might have been impossible to break out of your “racial class”, for example if you were born to a black parent but had very light skin, you would have been deemed black nevertheless and thus discriminated against because of the bloodline. Even if you would not look that different from people around you, the race alone was enough to justify discrimination. Therefore the withdrawal of racism and change to colorism arguably brought some positive effects, as your birth would no longer decide your position in the social hierarchy. However, when it comes down to comparing racism and colorism, rather than colorism being the cure, it is more like a “pick your poison” kind of a situation. In the 2009 book Shades of Difference, Eduardo Bonilla-Silva and David R. Dietrich depict that colorism causes there to be competition even within the race while there still is competition between different races. For example, in the past blacks have been discriminated against because of their “race”, but now they are being discriminated because of the color of their skin. Not only that, but they also are discriminated among what used to be their “race”, depending on whether their skin color is lighter or darker, not to mention that colorism might take out the vocabulary to describe discrimination (Bonilla-Silva and Dietrich 2009). So, is colorism the right direction? With colorism replacing racism and racism becoming a widespread social taboo, are we heading towards a less discriminating world? We can see that there is movement towards removing discrimination, as colorism is proof of that; however it is disturbing to see that discrimination still has its place strongly rooted in our everyday lives. It is hard to say if colorism is a proof of improvement, or if it’s just a way to sweep the problem under the mattress. Time will tell, is what I’d like to say, but then again just waiting patiently to see whether the situation gets better or not is a bad excuse not to take action. Glenn, Evelyn Nakano (Ed.). (2009). Shades of difference: why skin color matters. Stanford: Stanford University Press.